Welcome Vulcan Districts newest troop, Troop 86 Green. This is the first female troop in the Vulcan District and one of two original female troops in the Greater Alabama Council. The other is Troop 219 in Helena in Shelby District and a third has just started in Talakto District. Troop 86 Green (G for girl) joins Troop 86 Blue (B for boy) at St. Lukes Episcopal Church in Mtn. Brook. The troop is under the leadership of Scoutmaster Katy Anderson. The Troop had it’s first official meeting on February 1st. They had pizza, snacks and worked on avancement for three hours almost fulfilling the requirements for the scout rank. The troop is highly motivated and we could possibly see the first Eagle scout in the Greater Alabama Council from their ranks. 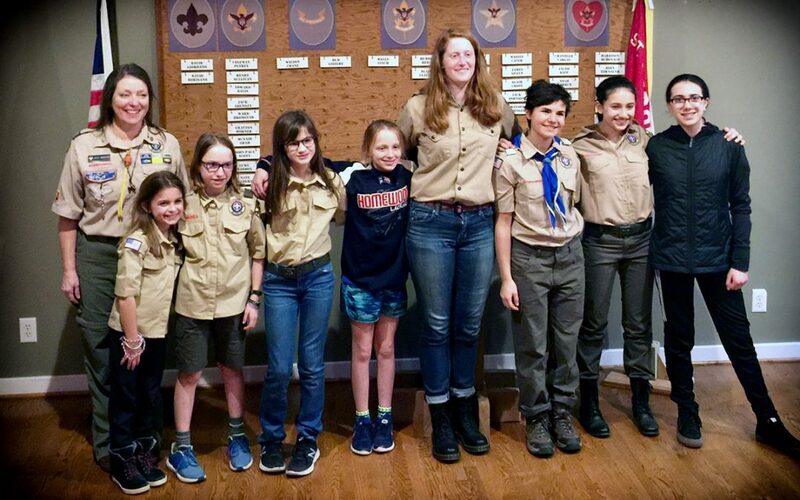 If you know a girl between the ages of 11-17 who might be interested in joining a Scouts USA Troop, contact Katy Anderson at Troop86Green@gmail.com.